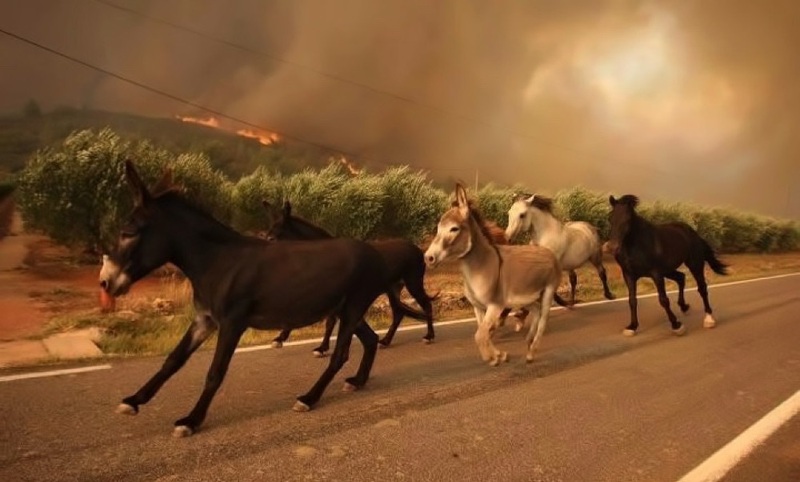 An easy way for you to help those equines affected by the fires in California. Our hearts go out to everyone who has been affected by the California fires. I can't even wrap my mind around the loss and devastation. We've been in contact with Hold Your Horses Livestock Emergency Evacuation Response Team, to get a first hand perspective of the situation, as well as to find a way we can help. I highly recommend checking out their Facebook page through the above link, to see their list of needs. With an estimated 1000+ animals in shelters, and 2000 animals still roaming loose, they could really use some halters and leads. We've shipped down our first box of halters and leads, and we are working on making more. In that first box, was five halters purchased by our customers! We'd like to continue to give our customers an easy way to help. If you purchase a 1/4" diamond braid halter for $15, we'll add an 8ft derby lead rope, and add it to the next box we're shipping. Simply click on the 'Add to Cart' button to your right, and adjust the quantity to your desired amount. If we all do a little, it will make a big difference! 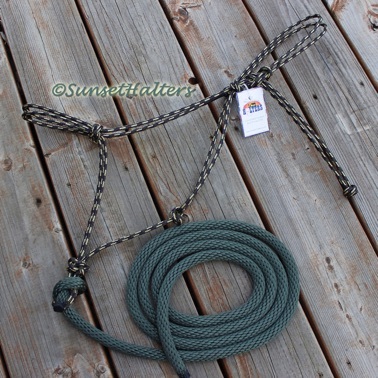 1/4" diamond braid halter w/8ft derby lead. If you have a Paypal account, you can also send $15 per halter to info@sunsethalters.com - Thank you!